What? 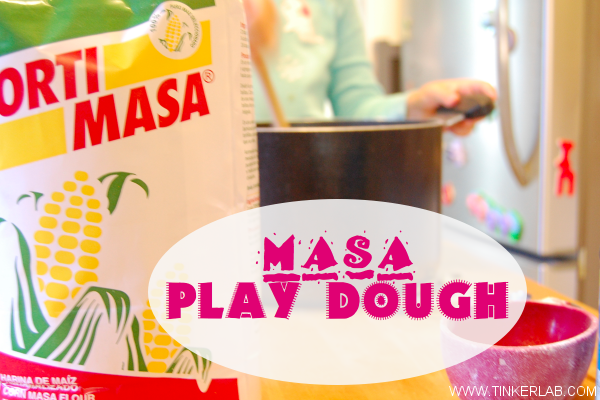 You’ve never heard of Masa Play Dough? Oh yeah, me either! 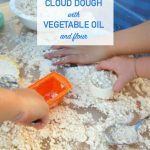 The dough has a crumbly texture and leaves your hands oily, although they felt more moisturized than greasy (the base is coconut oil, which is used in beauty products). The dough also has a lovely tortilla scent that I really enjoyed. Are you ready? Follow me, and I’ll show you how it’s done. I live in California where there’s no shortage of Mexican food, and we happened to visit one of my favorite Mexican markets last week where I spotted these colorful beauties! My toddler was racing toward the bananas with her mini shopping cart, so I barely had a chance to snap this shot, but I’m really curious to find out what makes these colors so brilliant! Next time I’ll look. While I was there I grabbed a bag of Masa Harina, a special corn flour that’s prepared with lime and used to make corn tortillas. 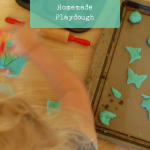 I was invited to join the Play Dough Pledge (with The Imagination Tree, Nurture Store, and Sun Hats and Wellie Boots) this week, and thought we’d give masa play dough an experimental whirl and see how it holds up against my favorite play dough recipe. 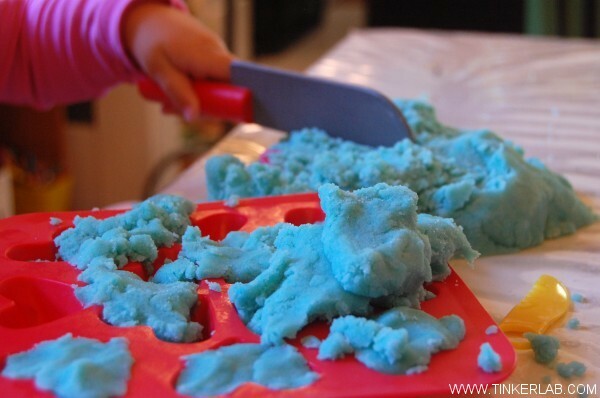 After a long search for masa play dough turned up absolutely nothing, I realized I’d have to figure this out on my own. Eeeek. 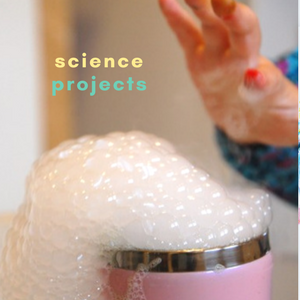 But this experimenting mom wasn’t fazed. 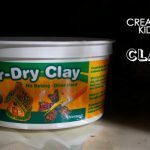 I adapted what follows from my play dough recipe and a few others I found online. Because this recipe calls for corn-based flour, I’m not sure if cream of tartar is necessary, but I was too chicken to leave it out. 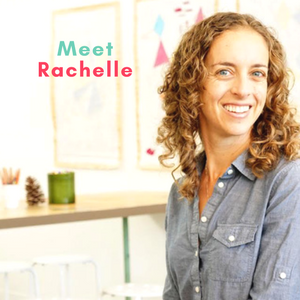 If you have a thought on this, I’d love to hear from you. This was a test, and I’d encourage you to try your own recipe, or play off of ours. 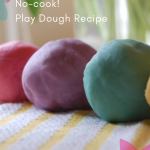 This is a cooked play dough, which means that it should have a longer shelf-life than the uncooked varieties. If you’ve ever made corn tortillas, the dough has a similar texture to tortilla dough. And you could just make tortilla dough if you didn’t want to go to all this cooked trouble, although the oil that’s added to this dough keeps it from quickly drying out and will give it a longer life-span. Mix masa, salt, and cream of tartar in a large pot. Put it over a low heat and add in the oil. If it’s solid, allow it to full melt into the dry mixture. Slowly add water until the mixture is smooth. Play Dough will be ready when it pulls away from the sides of the pot and is somewhat dry in appearance. If the dough turns out too dry, add more water and/or oil. 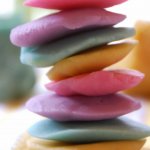 Squeeze small amounts of color into the dough and mix until you reach the desired color. I added an additional tablespoon of oil at the end because it felt like the dough was drying out. 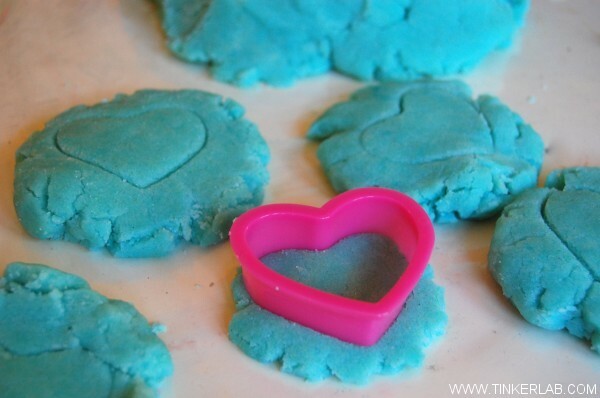 When you’re done with the dough, store it in a sealable plastic bag or food storage container. 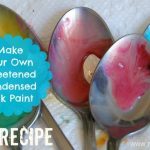 I removed our dough from the pot before the color was fully mixed in because I knew my kids would enjoy hand mixing it. 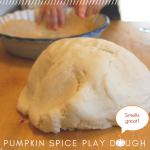 My toddler loved the warm dough and the sensory experience of repeatedly poking her hand into it. 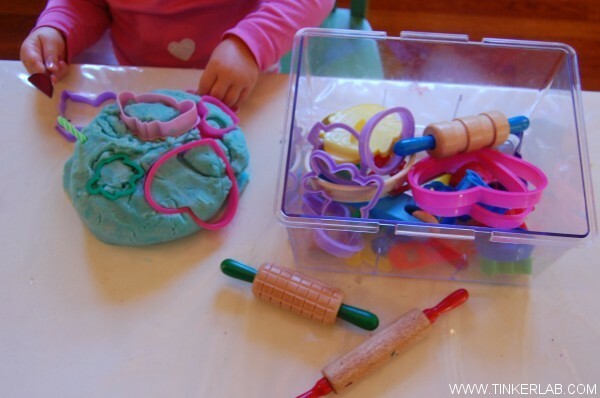 I pulled out some play dough tools and she covered the dough with a mountain of cookie cutters. Then we made cupcakes and snacks with a wooden knife and ice cube tray. And I tested out the dough with cookie cutters too. The texture is grainier and more crumbly that our favorite play dough, but my children played with it for close to an hour, if attention span is any test of it’s success. And I’d say it is. 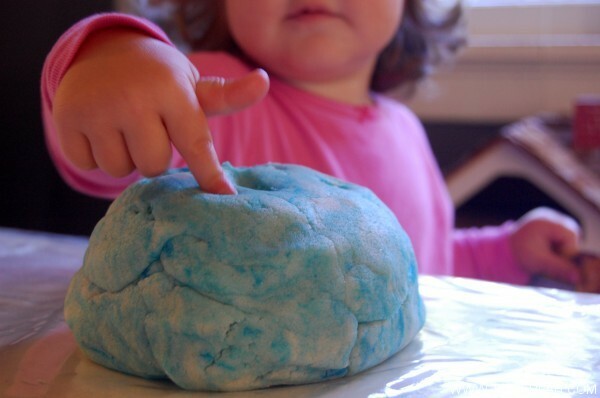 So there you have it, Masa Play Dough. You heard it here first! 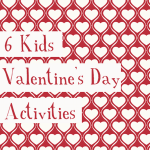 This is great for people looking for gluten-free options for play dough, too! Thanks. You’re so right, Phyllis! Thanks for mentioning that. Never heard of this. 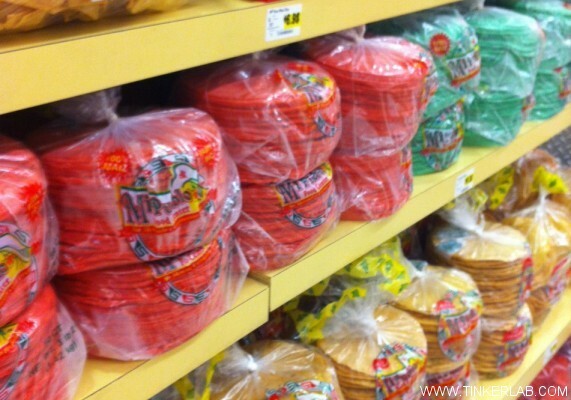 Interesting on the different colors of a tortilla too. 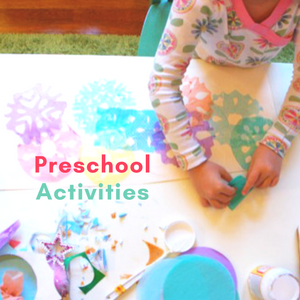 So great and creative! What do you think I could substitute for coconut oil? Would any cooking oil work? I think cooking oil would definitely work. 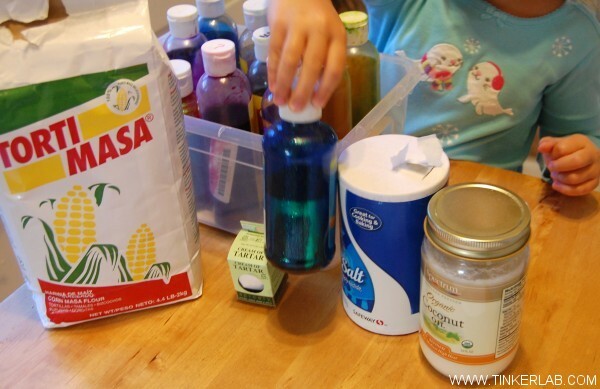 I wanted to test the coconut oil since I had some in the pantry, but usually use cooking oil in my play dough. 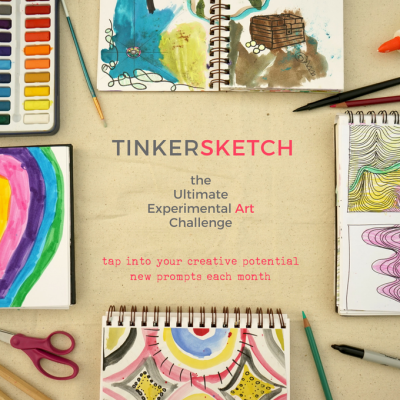 If you try it out, I’d love to hear how it goes. Your recipe is Good!!! but is crumbly because the tortilla masa you made is from package instead of the real thing(which is like wheat dough)… In this case if you follow what i told You, you do not have to add oil or other conservatives except for the salt(half weight of the masa equivalent). If you want to last forever, then add a spoon of lime powder to Your dough and keep it under refrigeration in a zip-lock bag!!! GOOD LUCK AND MAKE ANY comments!!! (i´m not a cheff but i cook for pleasure and tastes good) GREETINGS!! !